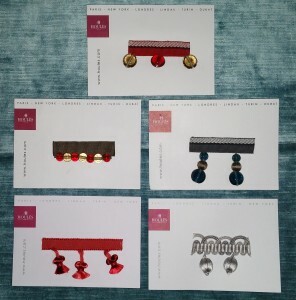 Pom Poms, Tassels and Beads! Today, I stopped by my workroom to see how the “roadside chair” was doing. 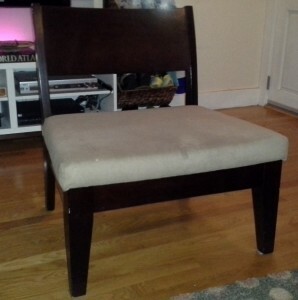 That is what my client and I are affectionately calling the chair that she found on the side of the road in Oakland. It has its swag on, I mean primer on, but soon the Refinisher will be spraying a conversion lacquer on it in Sherwin William’s Alabaster. The number is SW7008 and it will be in a Pearl Finish. It is a lovely warm white color. Once the paint dries and hardens, it will be transported to my upholsterer where the fabric awaits its arrival. The client selected a Clarke & Clarke cotton velvet fabric called Majestic Velvet, color Teal from the Duralee Showroom. It will get new webbing and a foam wrapped cushion for the seat. Here is the scary chair in its “before” picture. 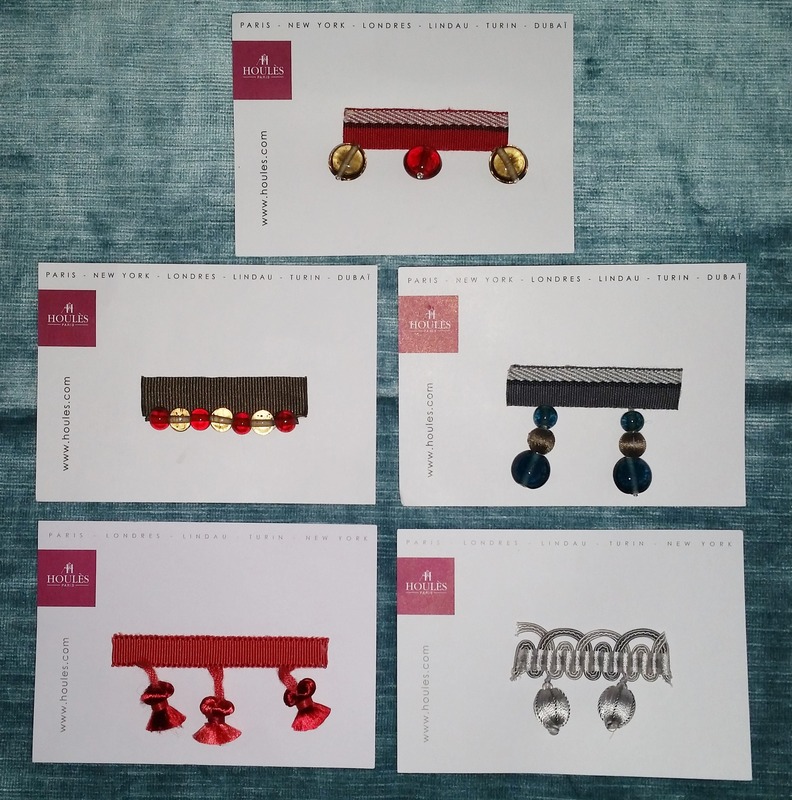 After I stopped by my Refinishers, I headed to the San Francisco Design Center. The client and I decided to add trim to the bolster pillow that will grace this chair. For the bolster pillow, we are going to use my favorite Schumacher fabric. For about a year now, I have just been dying to use it on a project! Finally, the perfect opportunity!! 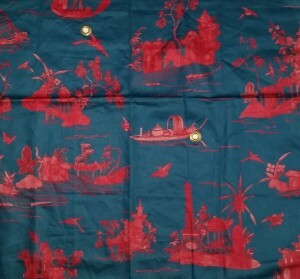 This fabric was designed by Alessandra Branca and is a fabulous silhouette toile in a very unusual blue/red combination. Its number is 175482 and its name is Coromandel, color Prussian Blue/Rogue. 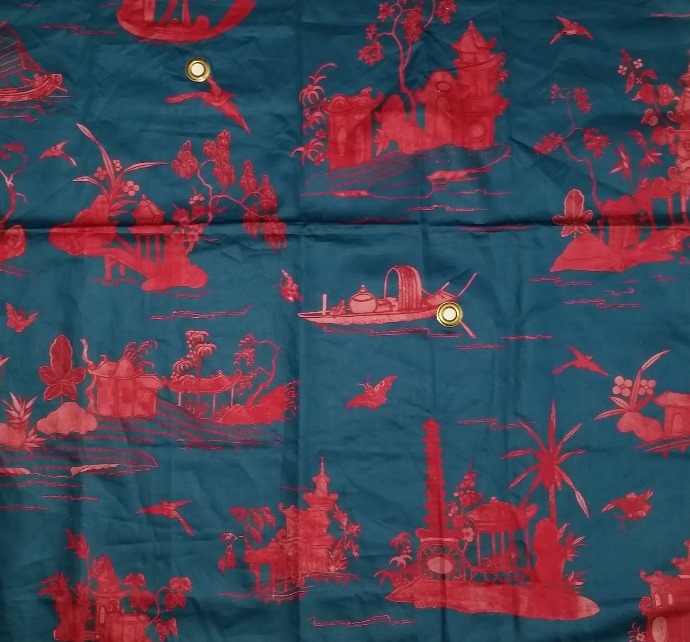 My Favorite Schumacher Fabric! Designed by Alessandra Branca. Because this fabric screams for trim, I headed to Sloan Miyasato who reps Houles. 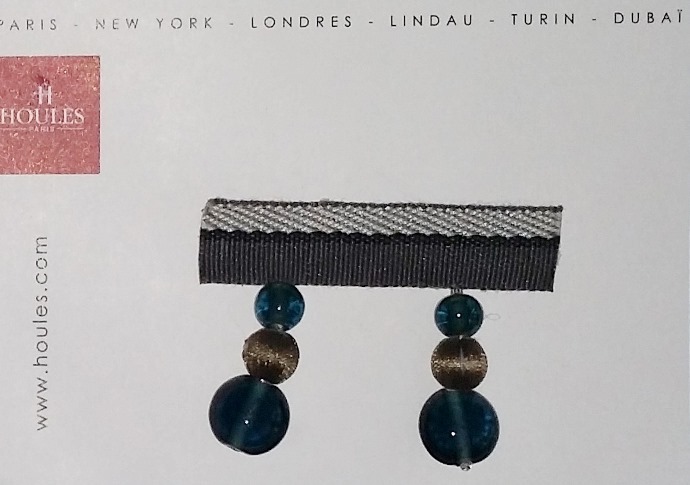 Houles is based in Paris and definitely without a doubt, my go-to for trim. 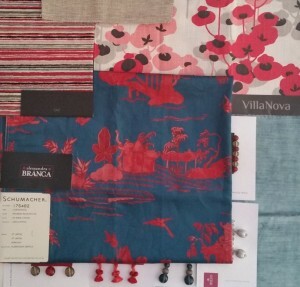 A very luxurious stripe by The Romo Group from their Black Edition and a playful floral by Villa Nova will also be introduced into the room via the sofa pillows. The stripe is 7561/01 from the Xanthina Collection, Zella Teaberry. The floral is V3101/02 from the Elodie Collection, Elodie Carmine Washable.